With a few slices of rich, buttery avocado that easily compliments with chicken in this filling and satisfying recipe. 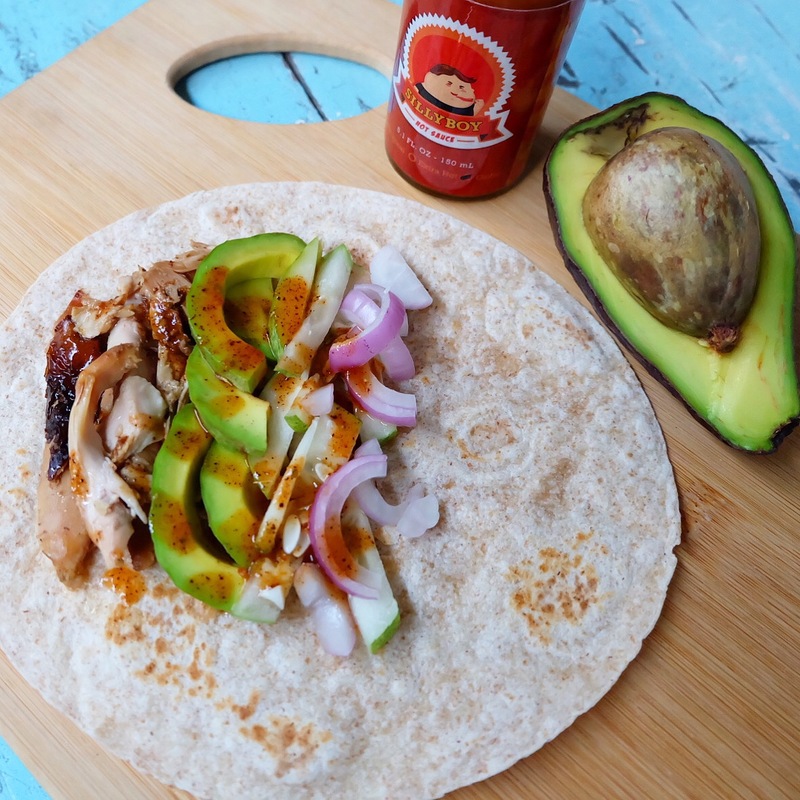 Very simple and delicious, this chicken and avocado wraps recipe is your go-to food on busy days. Delicious ingredients like chopped cucumber, avocado, onions, and chicken pile onto a wheat wrap. Top with honey and Silly Boy Hot Sauce for a tasty finish minus the guilty feeling. For a satisfying meal, look no further than this recipe! Shred chicken into strips and discard the skin (for a healthier meal). Warm your wheat wraps on the preheated skillet over medium heat, for about one minute per side, or until the wraps are warm. Spread over the wraps, equal amounts of chicken, onion, cucumber, and avocado. 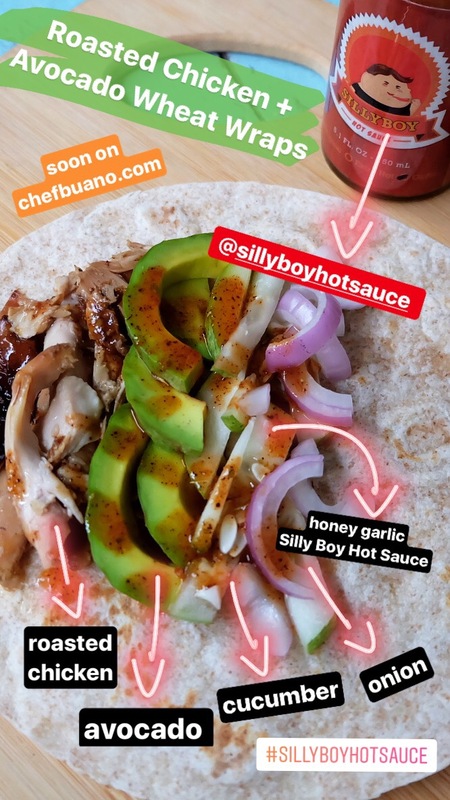 Thank you, Silly Boy Hot Sauce for making this recipe extra hot and special! For inquiries or orders, please like and visit their official Facebook Page: Silly Boy Hot Sauce. 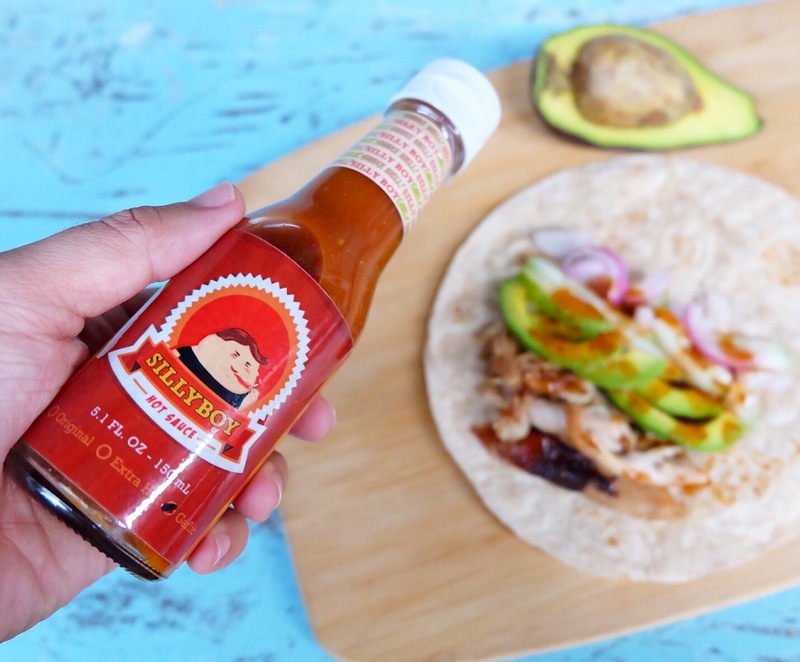 Let us start supporting local products and trust me, you won’t be disappointed with Silly Boy Hot Sauce!